Who doesn't like Pancakes?? 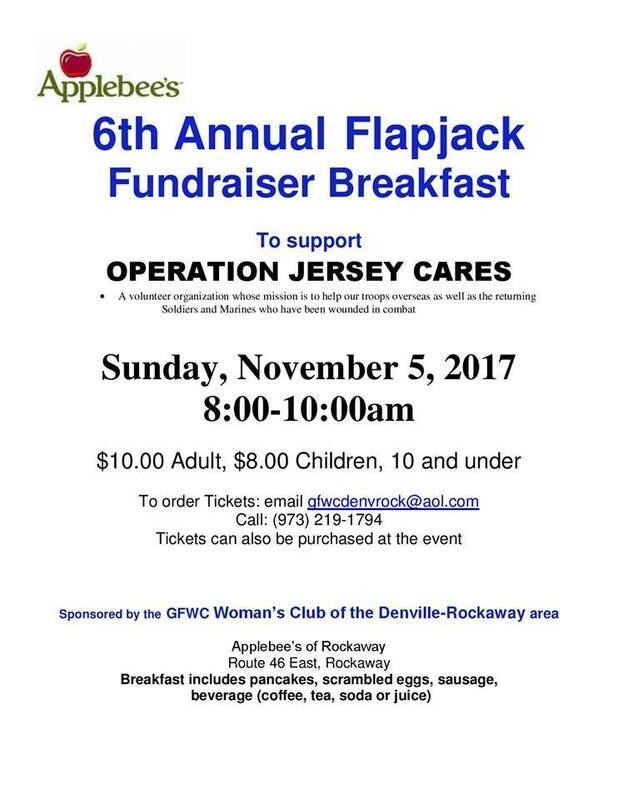 Come out and support the 6th annual Flapjack Fundraiser breakfast at Applebees on Sunday, November 5th!! Sponsored by the GFWC Women's Club of the Denville-Rockaway Area.